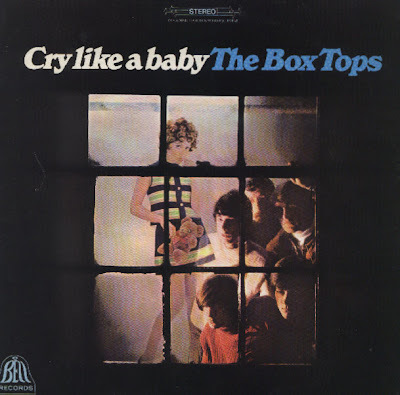 From Memphis and originally known as The Devilles, The Box Tops got the hit of the Summer of 1967 with The Letter, written by Wayne Carson Thompson and masterfully produced by Dan Penn, the famous songwriter. Their singer, Alex Chilton, was only 16 when it was recorded and Bill Cunningham was the brother of B.B. Cunningham from The Hombres. The line-up of the group was quite unstable, Chilton being the only continuous member and several tracks were in fact recorded by the American Recording Studios house band (Cogbill, Spreen, Leech, Moman...). Very much a singles band, their albums are of minor interest but always contained some successful hits. The singles were released on Mala, a sub-label of Bell. When the group broke up, Alex Chilton went on to form Big Star, which was a total commercial failure at the time but is now regarded as one of the first and finest examples of power pop. Chilton went solo and had a long, prolific and extremely chaotic career of singer, songwriter and producer (he notably produced the first Cramps album). The Box Tops reformed in 1997 and recorded a live CD released in France by Last Call.